Want a book that gives mead making the breadth and depth it deserves? This book is it! If you’ve ever tried to find comprehensive information on mead making, you’ve probably been confused and overwhelmed at the scattered and conflicting information on this subject! 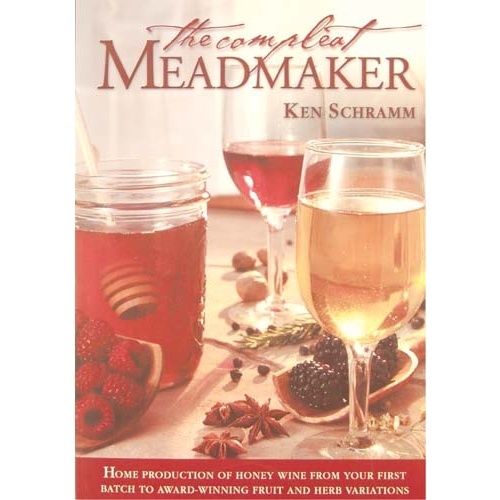 The Compleat Meadmaker, by Ken Schramm, gives mead making the focused attention that it deserves! It covers all aspects of the craft in an easy to read fashion. It focuses on the importance of quality ingredients and the wide range of flavor diversity you can achieve within the field of mead making. This complete book is a resource you can’t do without. Had a copy before , gave it to a friend. I listened to a podcast interview with Ken Schramm and he is very knowledgeable on making mead. I learned some good tips by listening to him and I had to buy his book.